Birkman Method | Transformation Point, Inc. 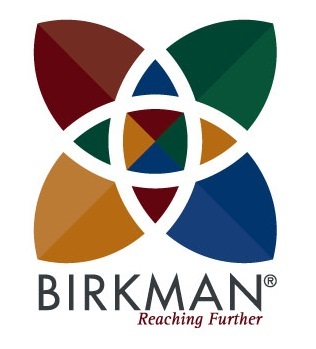 The Birkman Method® is a premier advanced assessment used to develop and enhance human dynamics within organizations and helps individuals realize their inner potential. First developed in 1951 by Dr. Roger Birkman, The Birkman Method® assessment has enabled millions of people around the world to achieve personal and professional growth. The Birkman Method® measures underlying Needs, combines behavioral and occupational data in one assessment and examines personality and perception in a human context. The Birkman Method® focuses on highlighting the strengths, challenges and value each person brings to his or her team and organization. The Birkman 360® multi-rater surveys are powerful tools for helping individuals improve, grow and develop themselves. It uses common standards across jobs and job groups, creating more consistency in the expectations communicated to organizational members. Such a consistent message helps the organization encourage and reinforce particular behaviors. The Birkman 360 gathers information about performance as measured by individuals themselves and by their supervisors, peers and subordinates, reporting on nine competencies driving work and organizational success. With the Birkman 360®, individuals can see multiple facets of each situation from different perspectives, as well as reflecting their reactions from the viewpoint of other people. The Birkman 360® reveals where people should channel their energy, to increase their impact and effectiveness. More than 40 report types are generated from a single 45-minute online questionnaire, including a two-person comparative report that highlights the similarities and areas for potential conflict between two people. A Birkman comparative report can enable two people to work together better with fewer conflicts, more productivity, and greater mutual understanding. Comparative and group reporting can also be used for to address conflict, facilitate team building, and to increase employee engagement. Birkman Certified Professionals undergo a three-day training seminar, to enable them to analyze and interpret results from The Birkman Method assessment. Birkman Certified Professionals must also complete a minimum of eight Birkman Learning Credits (BLCs) annually to maintain their certification from year to year. For more information and testimonials, visit The Birkman website at https://birkman.com/.